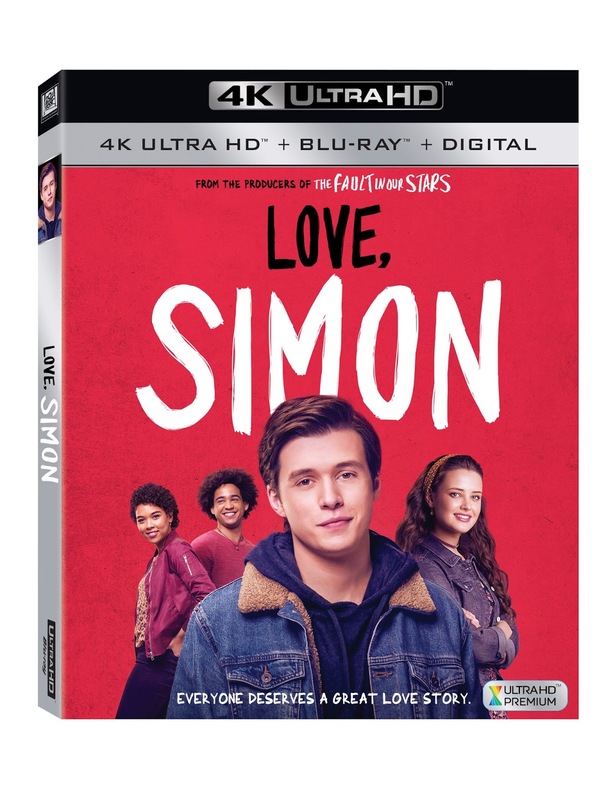 From the producers of "The Fault in Our Stars" comes the relatable and heartfelt coming-of-age film "LOVE, SIMON." Everyone deserves a great love story, but for 17-year-old Simon, it’s a bit complicated. The gay teenager hasn’t come out yet, and doesn’t know the identity of the anonymous classmate he’s fallen for online. Resolving both issues will be a hilarious, scary, life-changing adventure. 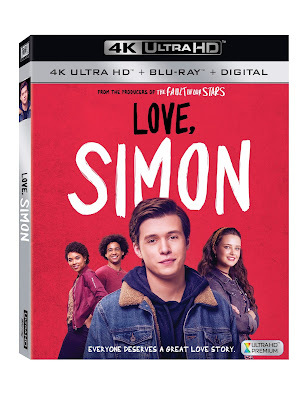 Add "LOVE, SIMON" to your Digital collection on Movies Anywhere May 29 and buy it on 4K Ultra HD, Blu-rayTMand DVD Jun 12. “The Squad” –Love, Simon’s cast members are some serious #squadgoals. Take a look into how the filmmakers developed, casted and perfected Simon’s squad. “#FirstLoveStoryContest” –Everyone deserves a great first love story! Watch one lucky fan tell audiences about their first love story. “Dear Georgia” –Join thefilmmakers as they show you the iconic filming locations in Atlanta. “Dear Atlanta” –The book takes place in Atlanta and the film was also shot there! Learn the many reasons why production chose this great city! Movies Anywhere is a digital movie platform that enables movie fans to discover, access, andwatch their favorite digital moviesin one place. Movies Anywhere brings together a library of nearly 7,500 digital movies from Sony Pictures, Twentieth Century Fox Film, The Walt Disney Studios (including Disney, Pixar, Marvel Studios and Lucasfilm), Universal Pictures (including DreamWorks and Illumination Entertainment) and Warner Bros., andwill continue to expand the consumer experience as more content providers, digital retailers and platforms are added.By connecting participating digital retailers that include Amazon Prime Video, FandangoNOW, Google Play, iTunes and Vudu, movie fans can now bring together their digital movie collections(whether pruchased orredeemed)in one place and enjoy them from the comfort of their living rooms, and across multiple devices and platforms, including Amazon Fire devices; Android devices and Android TV; Apple TV; Chromecast; iPhone, iPad and iPod touch; Roku® devices and popular browsers. Movie fans can also redeem digital codes found in eligible Blu-ray™and DVD disc packages from participating studios and enjoy them through Movies Anywhere. Movies Anywhere –your movies, together at last.